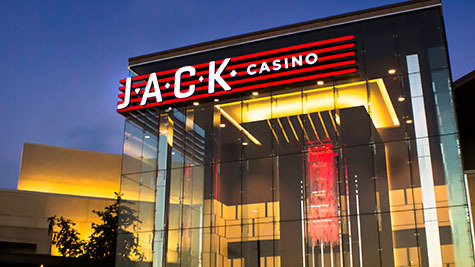 JACK Cincinnati Casino had another record-breaking year with $203.5 million in adjusted gross gaming revenue and reached significant milestones in 2018. In 2018 JACK Cincinnati Casino remained committed to the community, contributing thousands of dollars in charitable giving, supporting more than 60 local organizations, participating in 15 charitable events, and serving more than 1,000 volunteer hours. One of the casino’s 2018 community highlights includes the donation of an outdoor playground at St. Francis Seraph School, located in Over-the-Rhine. JACK Cincinnati Casino led this initiative after visiting the school in search of volunteer opportunities and realized that the students didn’t have any playground equipment. Throughout 2018, JACK Cincinnati Casino continued to improve the guest experience through innovation, launching multiple technology and gaming enhancements. Most notably, JACK introduced Synergy Table Games in March, a revolutionary gaming and entertainment experience that fuses electronic table games, high-energy dealer entertainment, pulsating lights, social interaction and giant video displays for a modernized approach to gaming. JACK Cincinnati Casino successfully provided guests with best in class entertainment, bringing world-class performers to the downtown area for sold-out shows, including Martina McBride, Ron White, The Isley Brothers, Sara Evans, The Temptations and the Four Tops.